Five players and one coach will be selected for class of 2018. 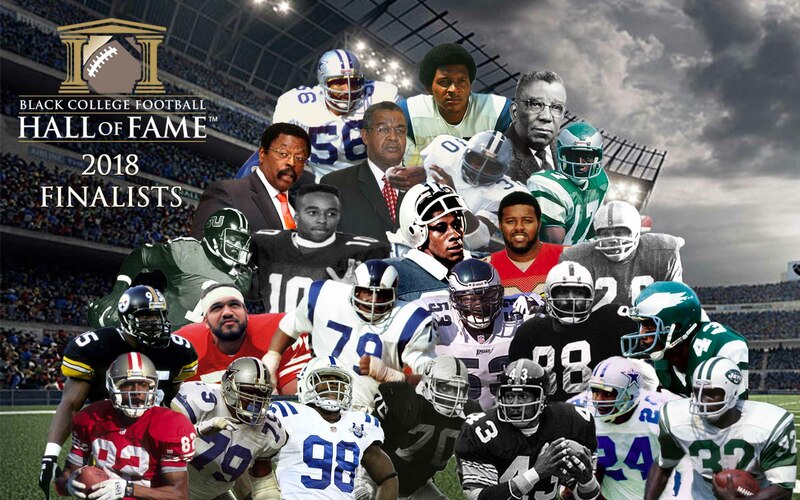 ATLANTA, GA (October 5, 2017) – The Black College Football Hall of Fame announced today the 25 Finalists for induction into the Black College Football Hall of Fame’s Class of 2018. The list includes 22 players and three coaches.